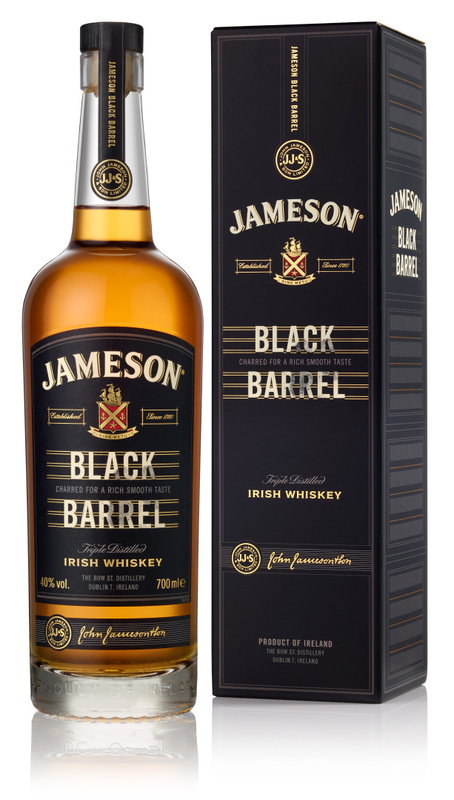 Jameson, the world’s bestselling Irish whiskey and the bestselling whiskey in Slovakia has unveiled its Black Barrel whiskey. Jameson Black Barrel is a triple-distilled single pot still Irish small batch whiskey, produced only once a year in the Midleton Distillery. This exceptional spirit is aged in barrels made of American oak, sherry casks and double-charred barrels previously used for storing bourbon. Jameson Black Barrel is first and foremost the celebration of a unique cooper technique of invigorating barrels with double-charring having been used as a traditional method in the Midleton Distillery. The aging process in the barrels perfectly complements this phenomenal whiskey with intensified notes of sweet vanilla and caramel that go hand in hand with toasted, fruits and warm spices. Jameson Black Barrel is presented in a new design that reflects the rich history of the brand. This design showcases the product quality; the bottle’s tapered neck is left uncovered so that the cork can be clearly seen and is complemented by an authentic seal which gently tears when opened for the first time. The rich, black label is a nod to the twice-charred barrels that give the whiskey its name, while a fingerprint of charcoal across the label evokes the artisanal qualities of the expression. The black label is a mere hint towards the barrels invigorated by the twice-charred method used to name this masterpiece. The presence of the rich tradition and the remarkable Jameson brand quality got merged into a true masterpiece. Jameson Black Barrel is best served neat, on the rocks or in your classic Irish cocktail.